Fiji’s Resident Ambassador to the Federal Democratic Republic of Ethiopia Mosese Tikoitoga will be part of the official handing over of the United Nations Interim Force in Lebanon (UNIFIL) Force Commander Parade to take place tomorrow. The former Commander of the Republic of Fiji Military Forces along with other dignitaries and diplomats will witness the event at Naqoura, UNIFIL headquarters. Major General Michael Beary of Ireland is the new Head of Mission and Force Commander. He replaces Italian, Major-General Luciano Portolano who will complete his assignment next Sunday, July 24. 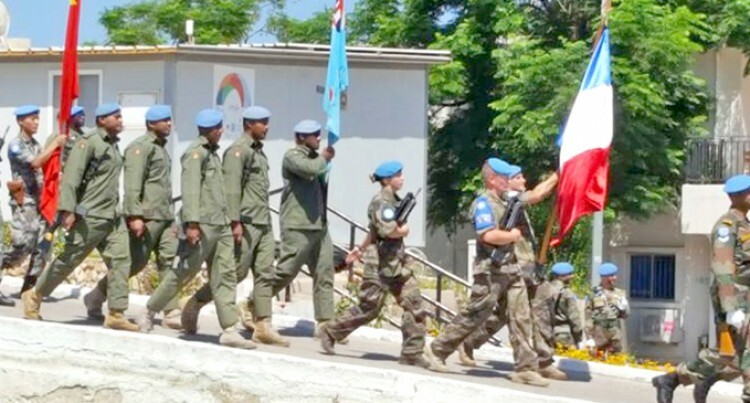 There are 147 Fijian troops serving under UNIFIL. As of June 5, 2016 UNIFIL’s force consists of a total 10,547 peacekeepers from 40 troop-contributing countries. Indonesia contributes the biggest number with 1,297. In addition, there are nearly 1,000 civilian personnel. l Confirm the withdrawal of Israeli forces from southern Lebanon. l Restore international peace and security. l Assist the government of Lebanon in ensuring the return of its effective authority in the area.